Tokyo, July 4, 2013 - NEC Corporation (NEC; TSE: 6701) today announced that its ultra-compact tower server, the Express5800/GT110f-S, demonstrated the world’s highest energy efficiency by achieving 6,488 overall ssj_ops/watt on the SPECpower_ssj® 2008 benchmark. 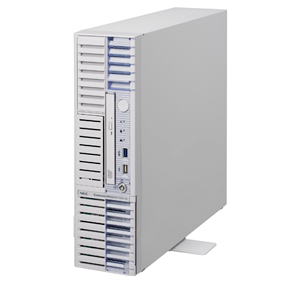 The SPECpower_ssj ® 2008 benchmark is the first industry standard measure for comparing energy efficiency among server products. The benchmark is determined by measuring server system performance versus server energy use. The Express5800/GT110f-S is a 1-socket ultra-compact tower server which delivers essential server features along with outstanding performance. The GT110f-S is designed for branch and remote offices, as well as stores and factories running file/print, collaboration, and infrastructure applications. With this breakthrough, NEC has demonstrated a solution that reduces the operational cost of server systems through high energy efficiency without compromising performance. NEC’s advanced cooling design and low power-consumption technologies address the need for energy conservation that has become increasingly important to customers.